CHICAGO – Truth Wins Out released a new ad today that challenges Louisiana Republican Gov. 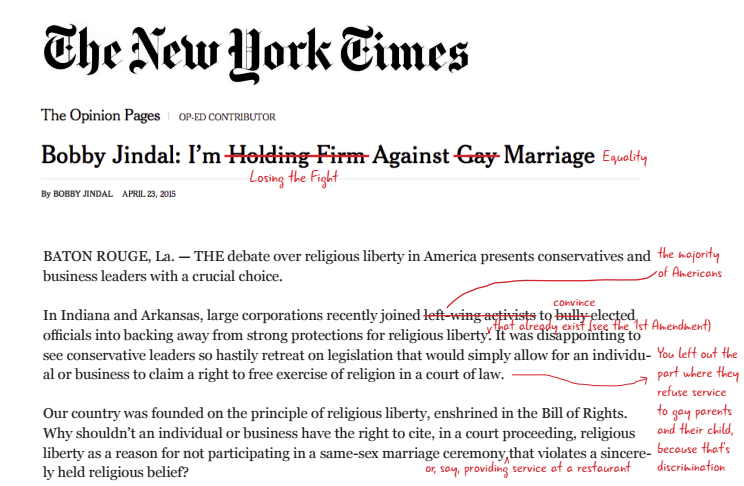 Bobby Jindal for his outspoken support of a bill that would allow business owners to cite their religious beliefs to justify discrimination against LGBT customers. TWO’s ad comes one day after Jindal wrote a defiant, and grossly inaccurate, New York Times op-ed attacking corporate leaders. He called them cowards for supporting equality in similar high-profile “religious liberty” battles in Arizona, Arkansas, and Indiana. 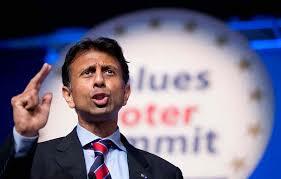 “Louisiana governor Bobby Jindal claims to be a fiscal conservative. But Jindal has turned a $1 billion surplus into a $1.6 billion deficit. Now, Jindal is supporting an Indiana-like ‘license to discriminate’ bill. The same bill that outraged corporate America, threatened tourism, and caused real financial damage in Indianapolis. It’s wrong for Bobby Jindal to undermine Louisiana businesses just to further his presidential ambitions. Today’s ad is the third effort in the Truth Wins Out’s “Flipping the Script on Religious Freedom” campaign, to highlight the real-world consequences of laws that purport to protect religious liberty, when in reality they only promote exclusion. Today’s ad, “Bobby Jindal: Bad for Louisiana’s Economy,” was written by Truth Wins Out’s Wayne Besen, and produced by filmmaker Ben Nissen, with the assistance of Chicago-based writer and performance artist Eric Clements. In our previous video, with nearly 25,000 views, a gay man who runs a theater company forbids a Christian from buying tickets to a show after he sees a cross hanging from his neck. Citing the fictitious “Church of Harvey Fierstein,” he directs the Christian to go to a theater that shows “Passion of the Christ.” This is a plausible example of what could occur under such ridiculous bills that allow the gutting of anti-discrimination laws based on declarations of “sincere” faith. The first video in our campaign, “Religious Freedom Café,” takes these “religious liberty” bills to their logical conclusion. It focuses on an African American man who is told to leave a restaurant because serving black people is against the owner’s religious beliefs. Please support efforts like this by making a tax-deductible contribution to Truth Wins Out today.